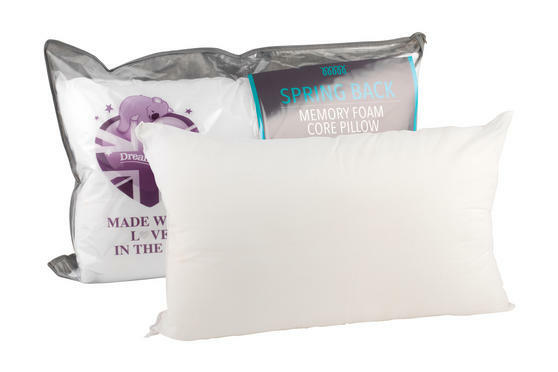 This luxury Dreamtime memory foam pillow is the perfect way to revolutionise your sleep. 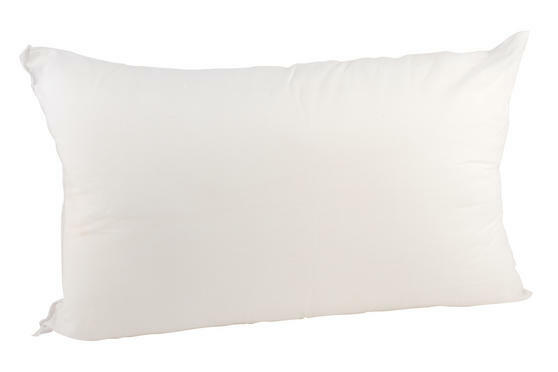 Allowing air to circulate around it, this is the ideal pillow for keeping you cool on hot summer nights. The pillow does not compromise on support though, the unique memory foam springs back from the core which is designed to offer flexible support. The pillow also has an extremely soft polycotton cover to provide ultimate comfort and will fit perfectly into a standard sized pillow case. 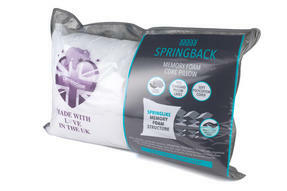 This Dreamtime pillow features unique spring back memory foam which cradles your head and neck providing firm, luxury support. Measuring 73l x 48w cm, the comfortable pillow fits snuggly into a standard sized pillow case, so you can use your existing bedding. The pillow is superb at keeping you cool in bed, with air free to circulate around the pillow so you can sleep well all year round. Encased in a beautifully soft poly cotton cover, the pillow is wonderfully easy to clean and care for so you can keep it feeling great. The perfect choice for anyone who struggles to sleep on hot nights, this pillow will help you to achieve your best ever sleep.